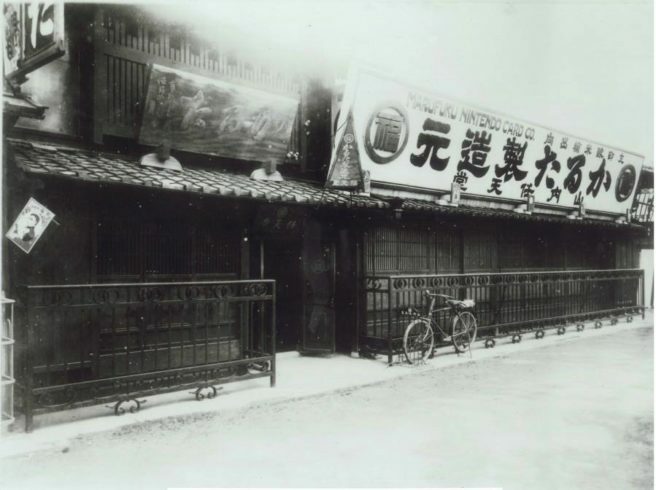 What did Nintendo’s headquarters look like nearly 130 years ago? Now we have an answer to that. A newly discovered photo, attached above, shows the building – which was captured during Nintendo’s earliest days. The photo was published online last month, and we are fortunate to have it from the Meiji150 project. This is a celebration of Kyoto’s history on the 150th anniversary of the Meiji era. Part of this delves into the founding of Nintendo by Fusajiro Yamauchi and the works of civil engineering that created the infrastructure for Big N’s first office.